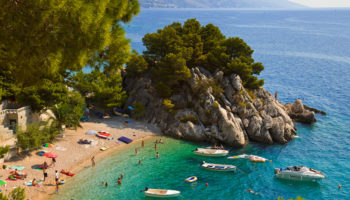 Oozing all of the deliciousness of the Mediterranean way of life, a trip to Croatia is all about soaking up ancient history in its many old towns, delighting in beautiful beaches lapped by turquoise seas, and devouring fresh food on sun-drenched terraces. From the well-trodden tourist destination of Dubrovnik with its incredible Old Town to island excursions surrounded by beaches and nightlife and more secluded spots in lesser-known towns, Croatia is an extraordinary place to visit. With so much on offer, it’s no wonder that Croatia is becoming such a popular tourist destination. 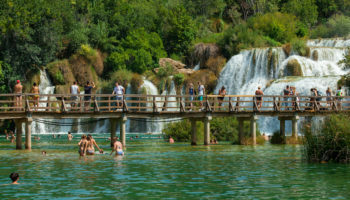 Spend days here languishing on beaches or get lost among the wilds of nature; Croatia isn’t all about big tourist sights. Accommodation is plentiful and varied – you can find yourself in a seaside resort or a locally run guesthouse with ease. There’s something for everyone in this jewel of Adriatic. So get ready to explore and find a space in this enticing country that’s all yours. One-of-a-kind and alluring, Dubrovnik sits in the South of Croatia and has been enticing visitors for years with its sparkling blue waters and impressive city walls. The city’s Old Town is charming, with limestone streets and beautiful renaissance, Gothic, and Baroque palaces and churches. Although the Old Town can sometimes feel packed with tourists, it still remains a wondrous place to explore – especially outside of the summer season when visitor numbers soar. Take the cable car up to the top of Mount Srd – or climb the steps if you want a workout – and gasp at the view of the gleaming Adriatic. The pristine beaches and laid-back dining scene that serves up fresh fish create a welcoming atmosphere. 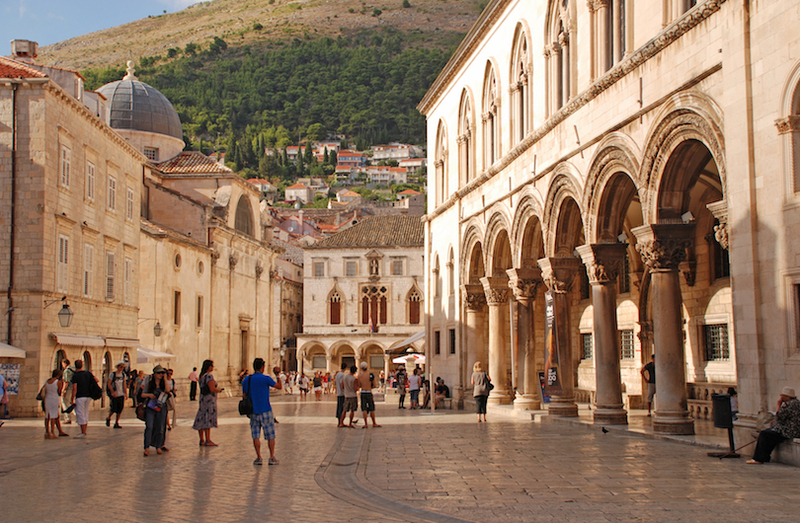 Along with the high-end hotels and mid-range accommodation, it’s no wonder that Dubrovnik is so popular. The Old Town has also gained popularity for being the filming location of Game of Thrones and Star Wars, which just goes to show what an iconic place the old, walled city is. 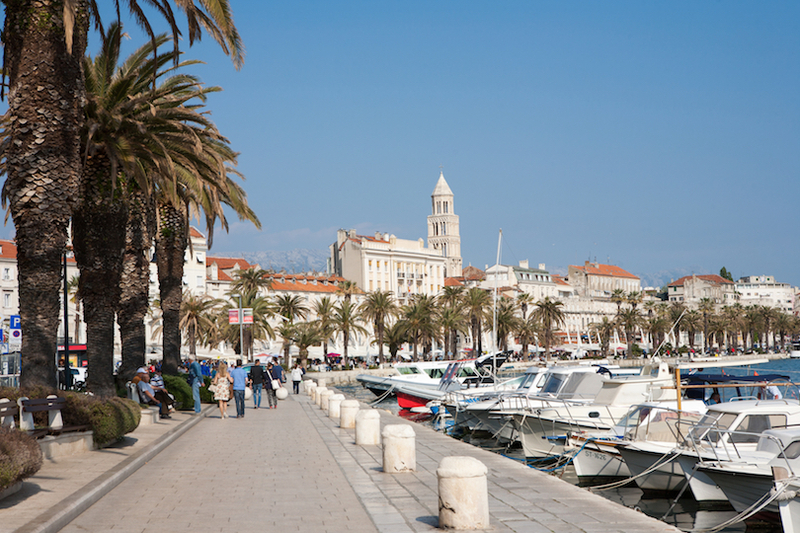 Known for its quite literally ancient Old Town but made more famous in recent years thanks to Game of Thrones shooting a few scenes here, Split is a destination that – like many places in Croatia – mixes history with seaside living. That’s right, the second largest city of Croatia boasts an Old Town whose famous relic is Diocletian’s Palace: a sprawling palace built for the Roman emperor Diocletian in 305 AD. But it’s not all history. Head west to the Marjan Forest Park and you’ll find hiking trails, botanical gardens, look-out points, and locals jogging around. In the less historic but no less lovely east of town, there are beaches where you can chill and splash around in the sea. Hotels in Split are a mix of mid-range and budget, with some very affordable backpacker hostels on offer. Choose from somewhere in the Old Town, packed with options, or head somewhere a little more local. Set in the glistening waters of the Adriatic sea, Hvar Island is splendidly drenched in sun. Part of the Dalmatian archipelago, the island enjoys basking in more than 2,700 hours of sunshine a year, so it’s no wonder it’s a popular holiday destination for Croatian and international visitors alike. 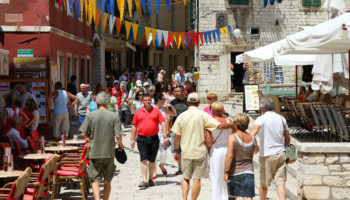 Hvar Town is where you’ll find a lot of wealthy visitors enjoying life on their yachts. 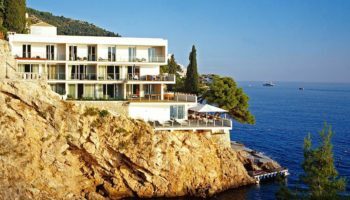 This doesn’t mean that Hvar is exclusive, however, as many people head here to party, enjoy the numerous bars scattered along the sand, and taste the delicious Mediterranean food. Less lively resorts are located along the northern coast and towards the center of the island, where tradition and farming are still alive. The island is rich with history and culture and is an ideal spot to spend a few days, luxuriating in the sun staying in one of the various hotels. There’s a handful of budget hostels and mid-range hotels for travelers to stay in, but accommodation ranges all the way to 5-star sea view offerings. Zagreb is the capital and largest city of Croatia, located in the country’s northwest region. 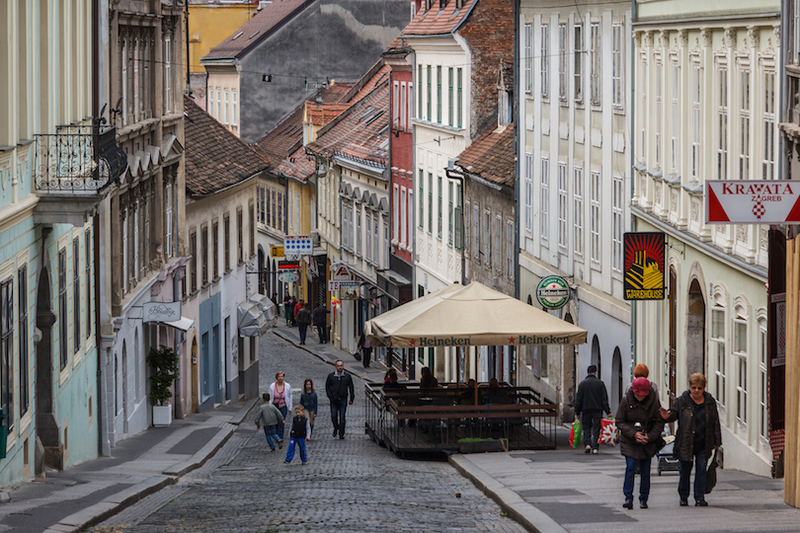 A far cry from Croatia’s coastal cities, Zagreb is nonetheless packed with a whole lot of charm. Stroll around the red-roofs of the Upper Town, taking in Gothic cathedrals and medieval churches, then head over to Lower Town with its Austro-Hungarian parks, squares, galleries, and museums. It’s a city that’s brimming with stunning architecture laced with little lanes: perfect for ambling through. Cafe culture is strong here; grab a coffee and sit out on a terrace watching the world go by. Then you can return to your hotel – these come in all types from budget hotels to quite expensive elegant historical hotels and modern luxury offerings. For nightlife, head out to one of the many bars on the vibrant pedestrianized Tkalčićeva Street. 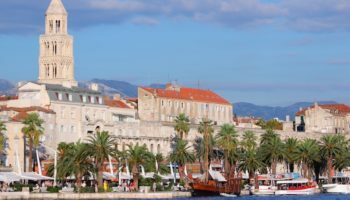 The trendy, historic port city might be lesser known than Dubrovnik but, with its Roman ruins, medieval churches, and cool cafes, this is a city that is well worth your time if you want to escape the tourist crowds. 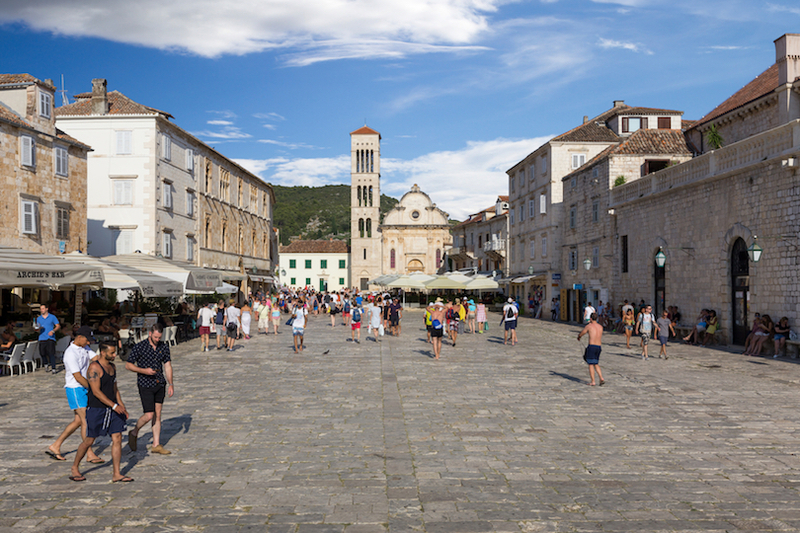 It might not be overflowing with the same kind of open-air museum feel of Dubrovnik, but that doesn’t mean it isn’t an intriguing and charming place to spend some time. Located on a small peninsula, Zadar is a unique mix of trendy bars, good museums and excellent transport links to various nearby islands. The Monument of the Sun might seem like a crazy contraption, and maybe it is. 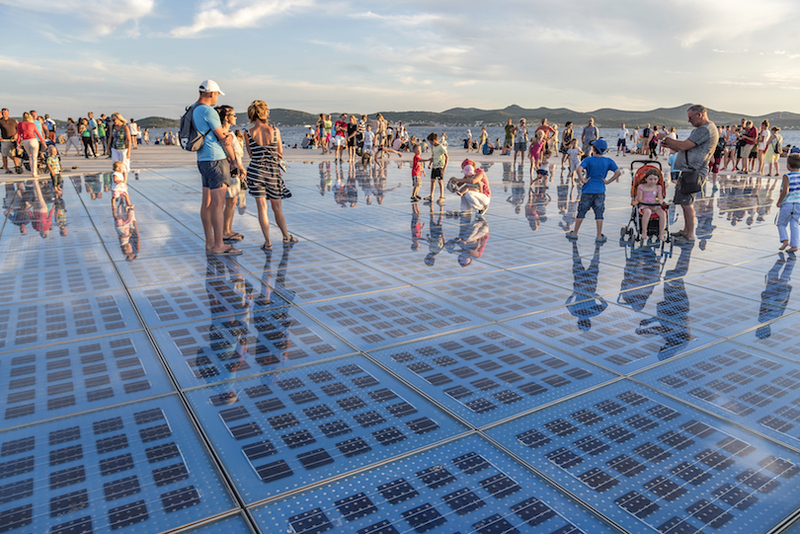 The massive solar power public dancefloor is perfect for watching the sunset, whilst the even quirkier Sea Organ creates music through pipes that are filled with water. Accommodation around the town is stylish and affordable; you can get yourself a cheap room for a basic price, stay at a local hotel with a pool, or splash a bit more cash and stay at a luxury villa. If you thought the Old Towns of Dubrovnik and Split were impressive, then get ready for some truly well-preserved ancient history. 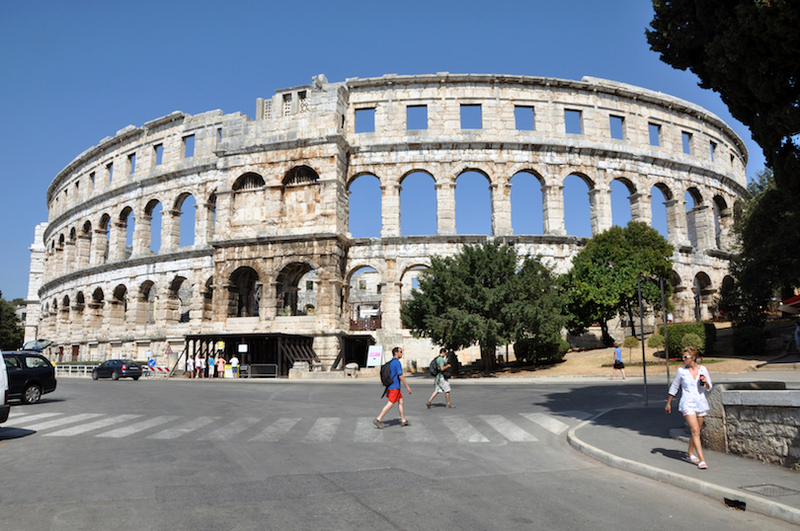 Pula has its very own amphitheater – the Pula Arena – which is over 2,000 years old! Other ruins include Roman temples and villas, amongst many other surviving ancient buildings, making this a great place to stay in Croatia if you’re looking for history. Even if you’re not, this is a dreamy destination. 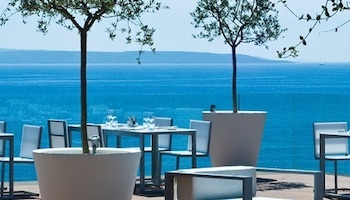 Located on the Istria Peninsula, jutting out into the Adriatic Sea, Pula has a decidedly Mediterranean flavor and is known for its beaches, plus activities like fishing and yachting. You can even do wreck dives to Roman galleys lying on the seabed. Stay in an affordable apartment or mid-range hotel in the center of town, or opt for something a little more out of the way with a guesthouse further south. In the shadow of the Biokovo mountain, majestic Makarska lies between Split and Dubrovnik along the Dalmatian coast. Travelers come here in search of a casual beach holiday with a warm climate and a vibrant nightlife. The pebbly beaches, old streets, and restaurants make this a great place to stop off and spend some time unwinding. Makarskas is set around an old town; it’s all charming paved lanes hiding pretty squares where old churches reside and local markets still thrive. Resorts along the coast with private beaches are great for a couple’s getaway or a family break. The old town itself has affordable hotels that are close to all of the old bars, restaurants, bakeries, and cafes you could ever want. 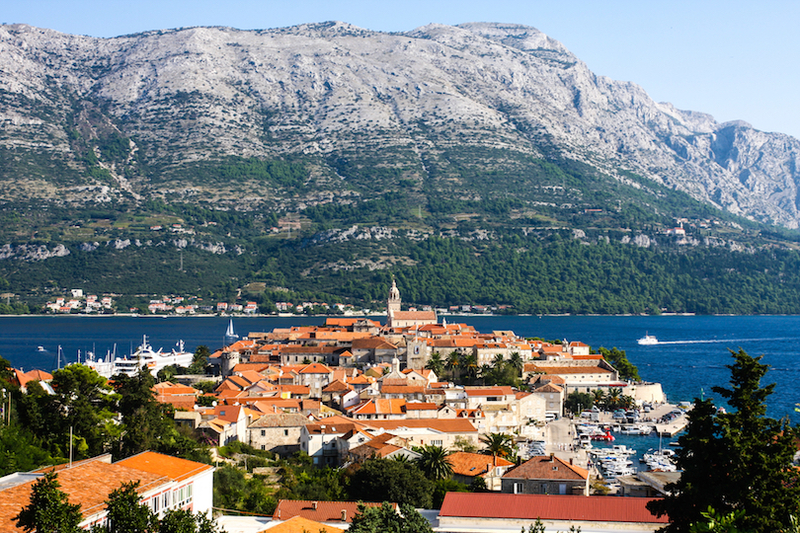 Located only 17 miles from Split, Trogir is another of Croatia’s charming coastal towns. Known for its postcard-ready Venetian architecture and promenades edging the beautiful turquoise waters of the Adriatic Sea, it is set mainly on a tiny island between the mainland and the large island of Čiovo. 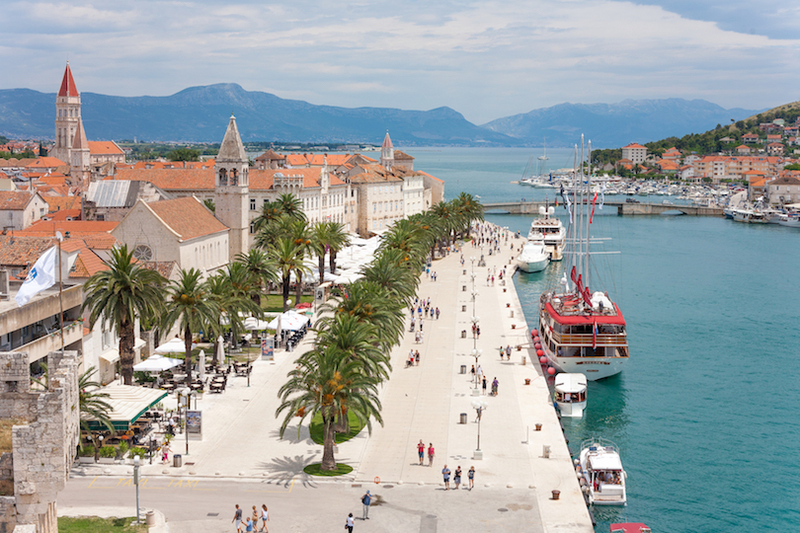 It’s the atmosphere of Trogir that makes it an impossibly attractive place to visit. In the evening, as it cools down, locals – and tourists following them – head to the wide promenades to find a bar, cafe or restaurant to sink into before walking off the dinner (or drinks) on the promenade again. The slow, low-key pace of life here makes it such a beautiful place to stay in Croatia. Hotels in the Old Town range from budget to mid-range, but there are a few mainland apartment offerings scattered around, too. The photogenic harbor town of Rovinj in Istria boasts an utterly beautiful old town filled with colorful buildings and pedestrianized streets. Set on a steep peninsula, with its charming church and cobbled streets, Rovinj is a popular destination in the summer months. While there may not be a whole host of sights to explore, the old streets themselves reveal amazing art galleries, fantastic places to stop off and have a bite to eat, as well as friendly bars and an all-around sumptuous atmosphere. 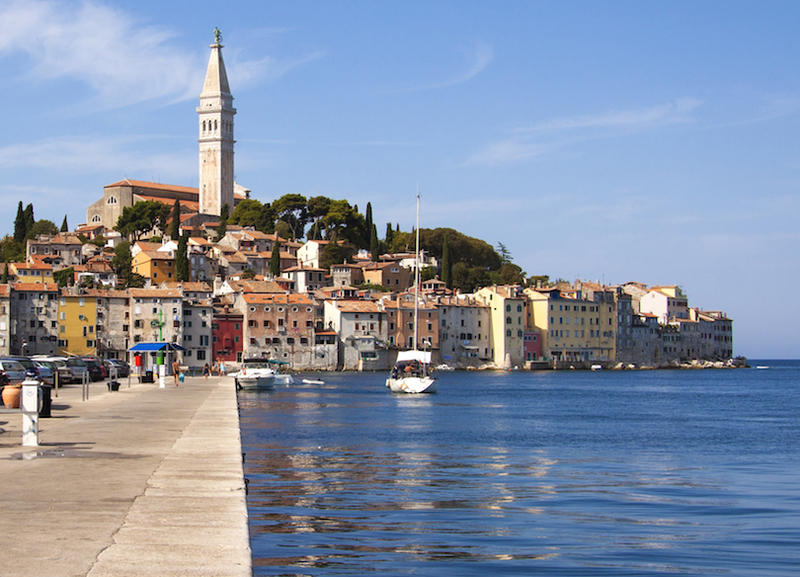 Rovinj’s old town is a romantic kind of place and can be the perfect destination for a couple’s getaway, with a great selection of affordable hotels housed inside timeworn buildings and self-catering apartments. 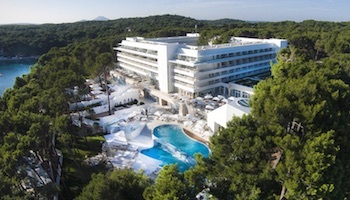 Along the coast, there are family resort hotels that boast beautiful sea views. Located in the central Dalmatian archipelago of islands, Korcula is a distinctly Mediterranean island. It boasts olive groves and vineyards and is dotted with small rustic villages – all adding up to a beautiful place to stay. 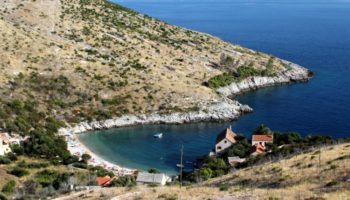 Its main town of the same name is often compared with Dubrovnik, and you can see why: it has an amazingly well preserved medieval town and a host of undeveloped beaches dotted around the coast. Accommodation is quite ample on the island. Korcula Town and Javic in the east and Vela Luka have the best choice. But to really get away from it all, a local stay at one of several guesthouses scattered across Korcula would be great. 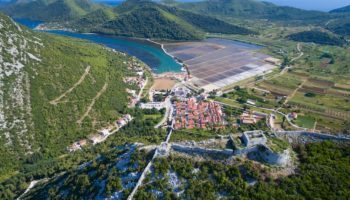 There are so many charming villages to see on the island – including the inland Blato and the western coves of Vela Luka – so renting a car to get around may be a good idea!